Learning to fly will be one of the most enjoyable and rewarding experiences of your life. You will learn the principles of flying during one-on-one ground school sessions, with most of your time actually flying with the most qualified instructors available. Our structured curriculum ensures proper coverage of all topics, yet with unique flexibility to conform to your lifestyle. If you’ve never flown in a private plane or are considering learning to fly, come discover the thrilling experience firsthand. Attaining Private Pilot, Instrument, Multi-Engine, and Commercial ratings is fun and rewarding! Receive a level of training you won’t find elsewhere. 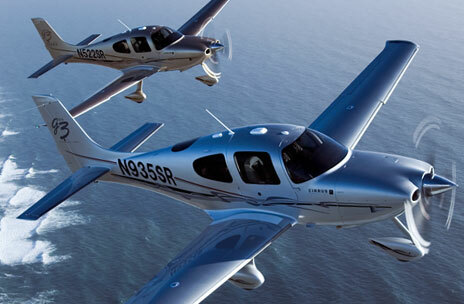 We feature Cirrus airplanes for their performance, safety, reliability, and comfort. Air conditioned SR20s and 22s. Our SR22 simulator allows you to train for emergency scenarios in a controlled environment. Practice IFR and emergency skills in comfort.